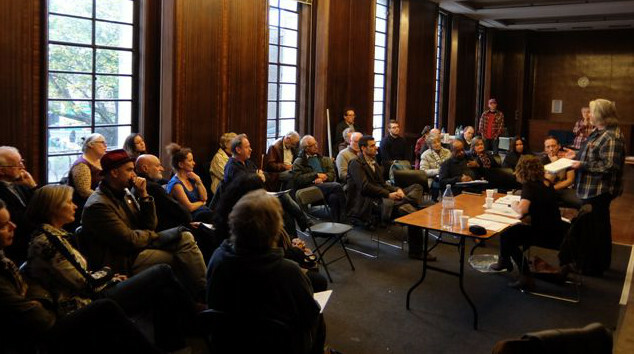 One of the key concerns voiced at the Forum’s March AGM was the future of the Town Hall Square, – and with the whole Hornsey Town Hall kit and caboodle mere weeks away from a transfer of ownership from Haringey Council to the Far East Consortium, we took a look. Make no mistake, this is Crouch End’s town square, its village green, a space high on the list of community priorities and a valuable open-space amenity for local residents – for too long neglected by the Council. 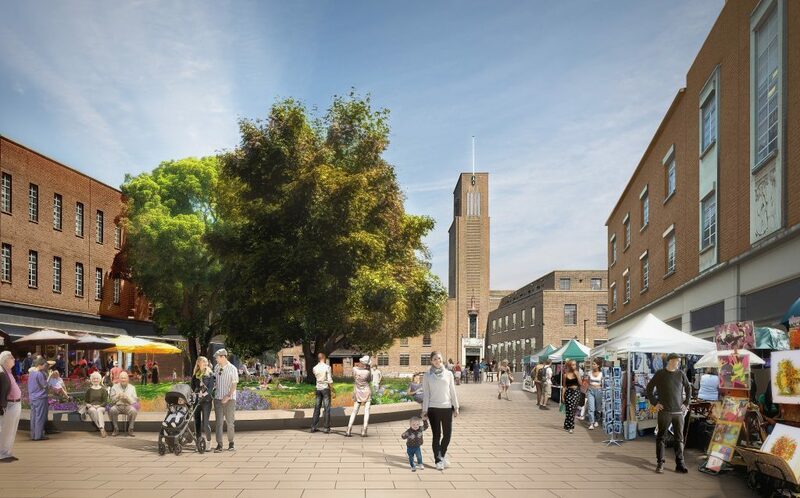 This is the approach to a fully realised Hornsey Town Hall, the square framing the listed heritage buildings and whatever activities find their way onto it, they’ll impact the town centre. 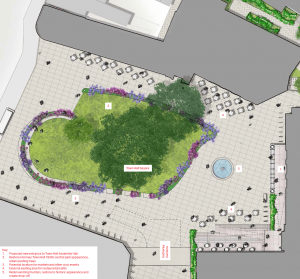 The current plan is to transform the space, with a new design for the green (albeit one that references the past), new paving, new planting, space for events and pavement cafés. However, some details remain elusive. The proposals exhibited last summer and the designs submitted as part of the planning application may well have undergone significant revision. We wouldn’t know – beyond the initial options exhibition, no public engagement has taken place. So what decisions are being made? Will there be opportunity for a public review of the work? 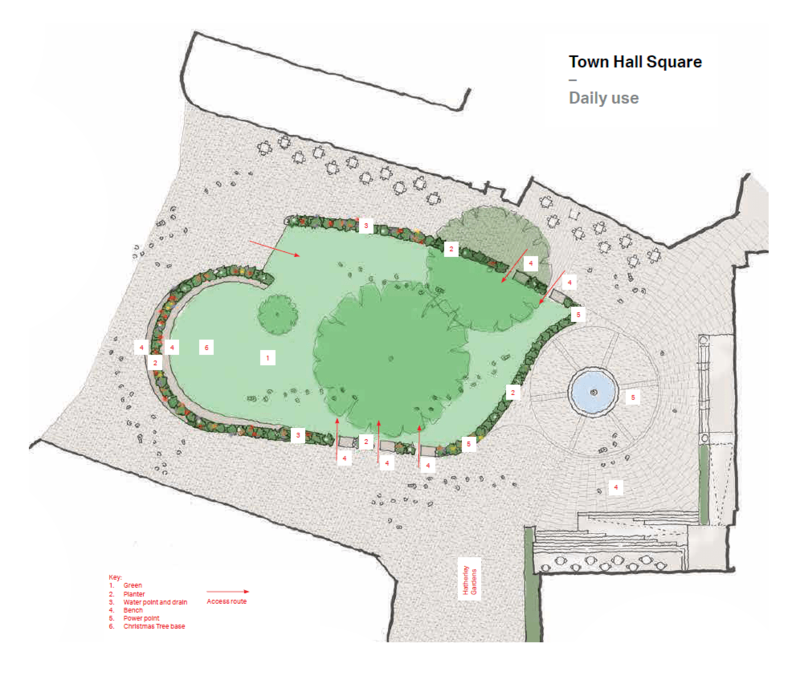 The Forum believes that this is Crouch End’s civic space, and as a matter of principle public consultation on design, function and management of the square is required. Perhaps you have a view? When asked previously, few locals wanted wholesale changes and many mentioned the retention of the existing grass and trees. Flexible use was also a key desire. To an extent these wishes are met by the current proposals, but many other questions have yet to be addressed – Who will be managing the space? Will it be closed occasionally for private events? What uses, events, and activities are envisaged? How much will comprise cafés? Will it be a vibrant space, attracting a diverse audience? Will it be a part of the Arts offer? What will the rates be for community use? – And before we forget, there’s the development timetable itself. For how long will the Square be closed? The Town Hall Square is a key component of the listed civic buildings, and any change must be measured and seek to enhance the heritage asset. So we’d like further reassurance that any original work is not lost, and in particular that replacement materials should correspond with those used in the 1930s, should not detract from the setting of the listed buildings, and should respond to the distinctiveness of the area in a neutral fashion (a colour palette?). Clearly major changes to the space are afoot with almost all existing features removed (kerbs, roadways, paving, benches, etc. ), though while the grass moves, the fountain looks to be preserved in situ. The replacement features should be high quality, particularly the surfaces – and we would like further information on final choices of materials with details of design, orientation, bonding, ducting, drainage, and durability. As mentioned above any decision regarding soft landscaping is keenly followed by users, and will the result be appropriate for a range of usuage, and a variety of users? What of seating design? The design will dictate use and function, and we are interested in how the balance between grass and paving is struck (and whether flexibility is built in – power points?). 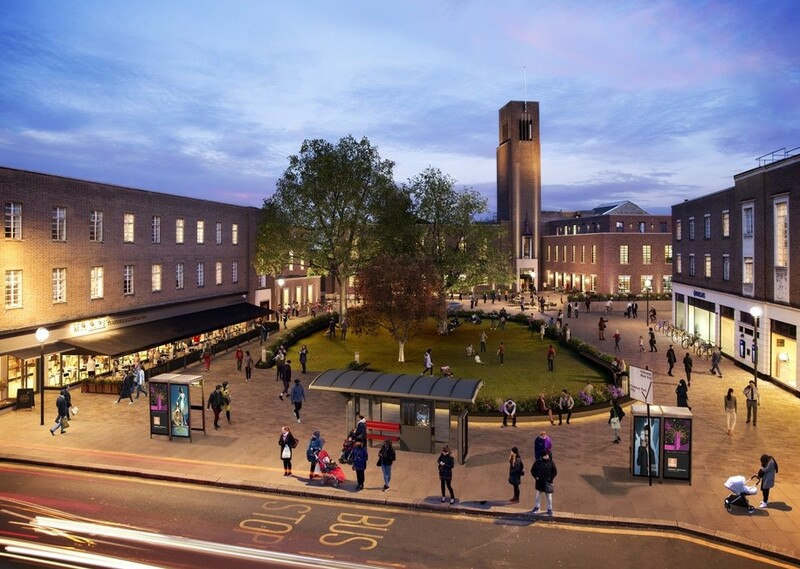 For example the recent formation of a new town square in Muswell Hill overtly sacrificed planting for a larger paved area, the better to accommodate markets and events. Can and should this be the model here? Other issues play a part in design decisions, such as disabled access and pedestrian movement and desire lines. Lighting too – mention was made in the planning submission of the reinstatement of 1930s lamps, is this still intended? And cycling – where will the many cycle stands be positioned, and will there be secure cycle parking, or even space for cycle hire schemes? The detractors to the square remain a concern. We’ve lost count of the number of requests to see the back of the redundant telephone kiosks, and for improvements to the bus stand/shelter. But who’s negotiating with TfL, and will Crouch Enders be consulted? – we’re the ones standing in line. It’s also the case that the public realm does not cease at the boundaries of the square. The architects plan to create a new space ‘Town Hall Gardens’, and we are keen to see a positive interaction with Hornsey Library and library users. The square at the corner of Hatherley Gardens should be part of thinking too. We welcome the opportunity to animate the space – but what uses are possible, and can they co-exist in harmony with a space of public amenity and relaxation? One café exists of course, currently operating as Middeys – but will it continue with the same outside space (and fixed canopy)? And what of the additional café/restaurants announced for the Broadway Annexe and the Town Hall west wing? Will they also have outdoor space? If so, under what arrangements, and to what extent? Is a Street Furniture Management Plan (which would seek to ensure the street furniture integrates visually with the historic public realm) available? And what do potential commercial interests have to say? With three cafés planned for the space (not including the bars within the Town Hall) maybe we don’t need further pop-up catering which may be a coming suggestion, and there is a danger of over-commercialisation and the creation of a food court rather than a place of relaxation. We’d certainly prefer a condition restricting outlets to movable street furniture and retractable awnings. A popular choice of use, and not limited to the Crouch End Festival (who only use the Square twice a year). Are there plans, reflected in design decisions, for other outdoor performance and events (with a winter canopy perhaps)? What about, for example, themed food and drink festivals? Who has been approached? And can such events take place within the confines of paved areas without creating problems for the grass? Income generating of course, and art, craft and food markets are increasingly popular – but local traders remind us that markets should ideally complement the existing town centre retail offer. Once again, the space available isn’t clear – is the planned paved area sufficiently wide to allow stalls? Also, what servicing requirements are necessary, and where would support vehicles be located? Why not? 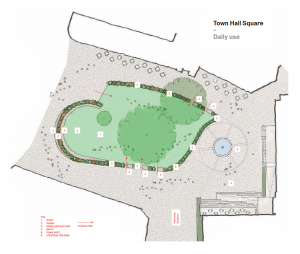 – and we’d like to see the square more identifiably part of the Arts offer of the Town Hall. We’re also aware that various directional and information signage may be desirable (perhaps Town Hall heritage information?). But please, nothing too commercial. Of course, any or all of this shouldn’t get in the way of continued public access, with locals and visitors able to enjoy the space freely. The planning conditions include a Public Space Access and Management Plan, to which we would wish to contribute – and we think it useful to spell out a Maintenance Plan for the space (and the planting). We’re not unaware of the potential for conflict between activities on the Square and nearby residents. Hours of operation are an issue. Equally, anti-social behaviour should be designed-out when possible – has damage from skateboarders to the new benches been considered? Also, event management may be necessary, though the extent to which shuttle buses, and taxi drop offs are required isn’t clear. Servicing too. Lastly, Haringey and TfL’s ‘Liveable Neighbourhoods’ initiative, a separate project due to spend £5 million on roadway improvements in Crouch End, should be factored in. It has possible impacts on provision of bicycle parking, materials choice, bus stop designs, and includes pavement widening for the Broadway, and nearby road modal closures. 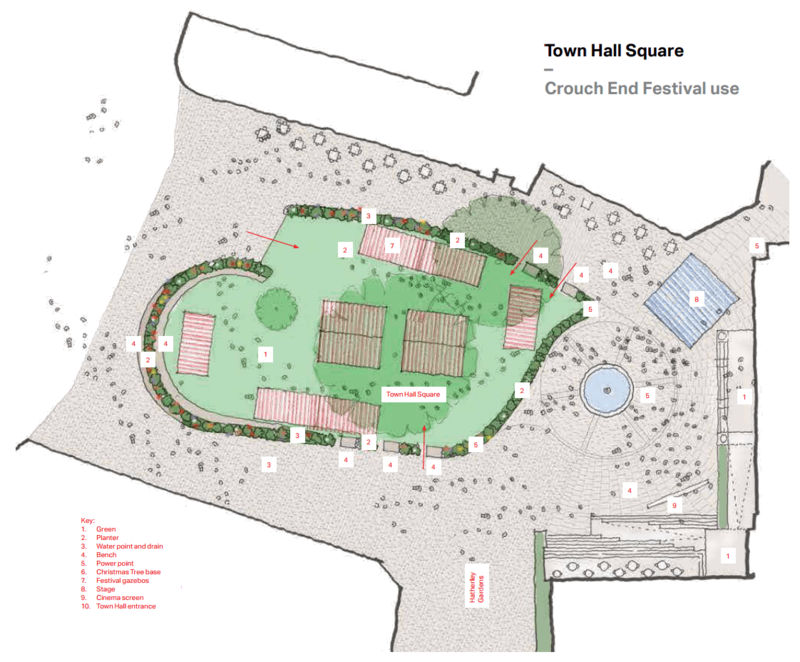 The Forum will be pushing for a joined up approach to town planning in Crouch End. From masterplanning to landscaping to detailed work, we hope a productive relationship between developer and community will be found. The project received formal planning permission on March 13th, and FEC expect to be granted the lease before the end of April. Work should start in the summer after the June Crouch End Festival. 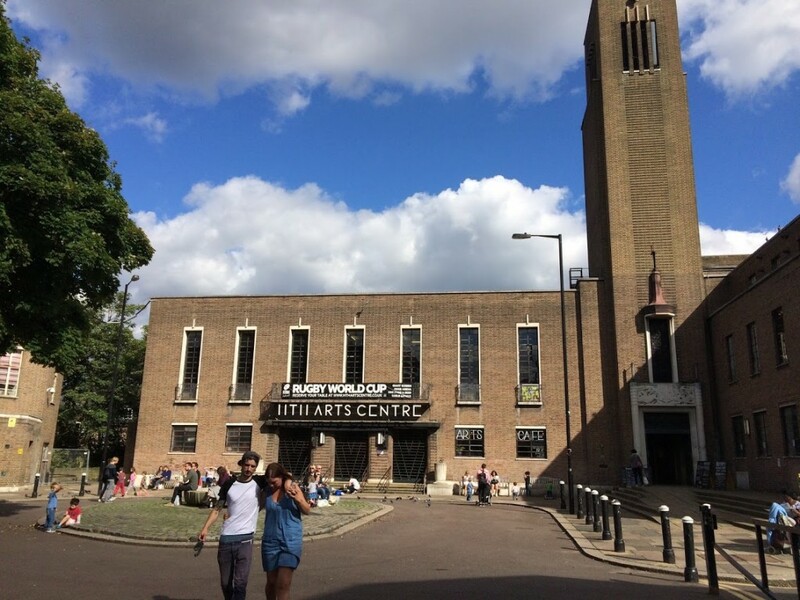 The Forum’s blogs on Hornsey Town Hall can be found here. A Community Liaison Group, campaigned for by the Forum has been agreed. More later, and please do comment below. Many thanks for the round up Mark. I agree with many who think that what FEC are proposing amounts to an over commercialization of the space.. One of the key architectural strengths of HTH is how, up to now, its position away ftom the shops means that,it is relatively isolated from signage and branding. This ads to the austere strength of the design of the building. For much of the building’s life, the nearest branding was attached to he adjacent Electricity and Gas showrooms. The style adopted informed passers-by of their presence rather than shout about it. I’m sure that operators who want to open up in HTH and with frontages on the green will want to let people know they are there and also compete for trade one with the other.. It would be interesting to hear from Haringey and/or FEC how they plan to moderate the worst excesses of neon and internally lit signage – perhaps they could commission CENF to write a design guide? 1. Who will be managing the Square? We’re not 100% sure, though it may fall under the aegis of the operator of the Assembly Hall and associated spaces, the Time+Space Company. We’re also unsure about ‘when’ as FEC aim to gain vacant possession in June/July – but will actually be in charge from May onwards. 2. Are there limitations on what the square can be used for? As long as the Square remains publicly accessible, and appropriate licenses and permits are gained, they can do as they like. 3. What community uses are planned? 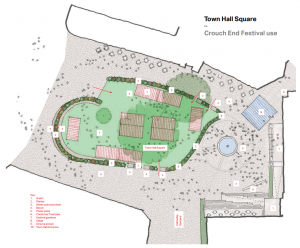 Well, the new owners are talking to the Crouch End Festival – but FEC are under no obligation to provide any community events at all, just to maintain public access (the provisions on community uses in the ‘Community Use and Access Agreement’ apply to the heritage spaces within the TH). As far as we know (and have been told repeatedly), the square and the green will be under the lease afforded to the arts centre operator. CEF have been talking to the landscape architects about the square and green for months and we can only say that they are lovely and we trust them. They’ve taken on board all our suggestions and engaged on every point or request we’ve made – critically not just for CEF use but for the ongoing continual enjoyment of the community. And, let’s be honest, anything else the new arts centre operator might dream of. If there are going to be markets/festivals/etc it may as well be fit for purpose, right? As we said in another post, we know we steal Crouch End’s front garden twice a year…and we know exactly what we’re stealing. Safeguarding the front garden of Crouch End is more important to us than anything else. As we said, the landscape architects are great and we have every confidence in them. We’d be happy to talk further anytime to anyone. We’re seeking to open up discussion here, and we wouldn’t know whether the architects are lovely or not – because they haven’t met nor presented any plans to the wider community for six months. We hope to meet soon. I hope it’s not too late to change designs, or whether the discussions with the operator, the HTH Creative Trust and the Festival (all necessary) have decided things for the rest of us. I’m really pleased that CEF are getting on well with the designers and have built up a good, responsive working relationship. Middeys has just undergone a very successful fit out and looks good – but the ugly tunnel bolted on the side remains. Apart from some dedicated smokers, most people would agree that tables and chairs with umbrellas would have been a better solution for sitting out and eating. It seems that, despite Haringey being planning authority and landlord, nothing could be done. So what chance have we got of getting a solution for the square that ticks the boxes of being heritage compliant, an oasis of tranquility, village green, safe for all, neighbour friendly but not become a late night eating and drinking venue for north London? We need to know more about what FEC’s vision is for the heart of Crouch End, how we can influence it and how we can remain in control of what is currently a public space but, in a few weeks time, Haringey is scheduled to hand over to private management. So where does this conversation happen? CEF’s input is crucial but really only applies to ten days’ use a year. The HTH Creative trust lost the confidence of the community years ago and Crouch End Councillors have zealously been talking the disposal up since 2016. The nearest thing we have to a community/civic society is this Neighbourhood Forum and, at its AGM a few weeks ago there were a lot of worried faces when HTH came up. For a start, please forward the link of this forum discussion to anyone you know that is interested in what happens to the square and get them to comment. We need to be able to demonstrate concern to get FEC to a table. LOVELY?!! I don’t want to do down architects as lovely people:…..some of my best friends are….. I have worked in and with architectural practices over a period of twenty years and have taught interior architecture for about the same length of time at four UK universities and I would say that 95% of all the people I have met professionally have been “lovely”. But this an irrelevant observation when considering the future of the Town Hall Square as primarily a civic space because architects and designers know how to please their client. While I respect Lord Roger’s (a socialist peer) views on the social good of architecture in his many writings and speeches he also delivered the Candy brother’s Hyde Park 1, the most expensive (at the time) luxury apartments in the UK opposite Harrods. Architects and designers may not be in the same class as their developer masters but their ability to charm and use PR is an in-built part of their functioning with the public. Architecture training has a core element that we teach all our students to take into account the end user’s views sometimes through (lip service) consultation but in reality the only voice that matters is “the master’s voice”. Anyone who watched the two Chanel 5 programmes this week covering Grenfell Tower followed by “Social Housing, Social Cleansing” showing the property development deals done with council houses all over the UK, will have seen how councils and councillors, of all hues, have totally capitulated to the exploitation of the developers by signing away the buildings and land of whole communities on the promise of something better or most cynically; affordable. So lovely does not come into it because, from the moment that Haringey councillors were seduced by FEC charm offensive there was only going to be one outcome and we have all witnessed this one-way traffic despite all our protests. Having being obsessed with the future of Hornsey Town Hall for over thirty years I now feel nothing but a total emptiness about its future as something that we can be proud of as a statement of civic pride on which the town hall was originally built. I am not being a doomsayer about what we eventually end up with. It may look quite impressive on the face of it because fortunately the architectural practices and organisations involved all have a good track record but at its heart will be something that pleases the board members 6000 miles away on the other side of the earth more than it will ever please most of us here in Crouch End. BUT – didn’t locals challenge the sell off of Alexandra Palace and didn’t that force the council to expensively renege on the deal? While it’s going to take many years to develop AP into the kind of place for the people it can be I believe it will happen now. There is hope for HTH if the sell off can be challenged.